All I ever expect from a backpack is for it to hold the things I need. 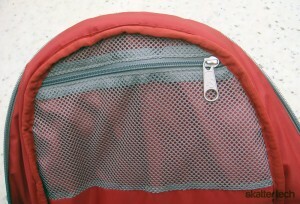 It is probably also the reason why I have used the same backpack since 1999. When Skatter Tech gave me the Jansport Hookey to review, I started my approach with the same expectation I always have for backpacks, as long as it holds things, I am happy. 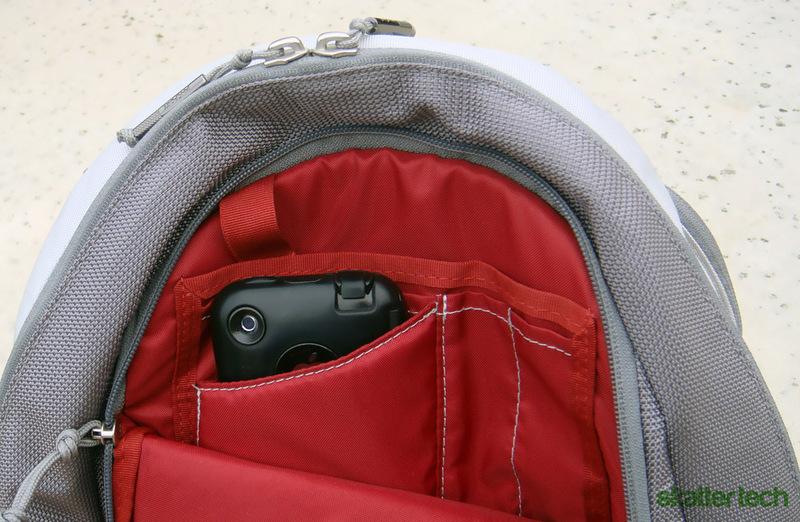 After using the Hookey for about a week, I quickly learned that 21st century backpacks are a lot more versatile and enjoyable than the previous generation. In a society where we expect more from our phones, video game stations, and laptops, it makes total sense for us to have this same high expectation from the things that hold them. However, much of the Hookey’s versatility comes at the cost of its overall aesthetic, which creates a problem of whether or not the target market will choose portability and functionality over visual appeal. 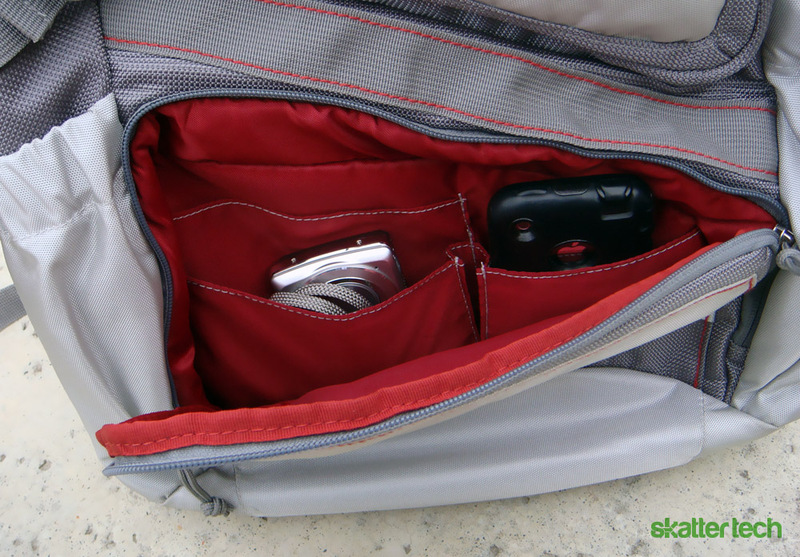 This Jansport is designed for two primary markets: anyone who has a lot of things to carry in addition to their laptop or frequent flyers who want to pass quickly through airport checkpoints. In contrast to the Built NY backpack that we reviewed, the Hookey not only provides a way of carrying and protecting laptops, up to 15.4-inch, but also the possibility of carrying three-ring notebooks and folders for everyday use. 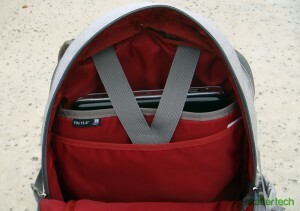 The backpack can carry notebooks, pencils, and folders without scratching your laptop because the primary compartment is divided into three sections. One compartment is specifically designed for a laptop and even has a Velcro strap to prevent the laptop from moving around. With this in mind, this backpack is a great purchase for someone who wants to bring their laptop to class, but might need to have the occasional pen and paper for in class writing or quizzes. Frequent flyers commonly waste valuable time fumbling through their belongings trying to retrieve their laptop to put in a separate bin. 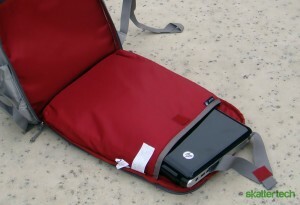 The divided compartments allow flyers to locate their laptop even with a fully loaded backpack while simultaneously protecting it from chargers or folders that a flyer might also need to bring with them. This is where this backpack does not excel. The minute I brought it home, my girlfriend said, “Well it’s not very aesthetically pleasing,” which was not the best thing to say about a product that someone would be carrying with them all day. The Jansport’s pouches that provide storage create a bulky image that other backpacks like the Built NY try and eliminate. The design is not sleek or modern, and the whitish silver design easily stains. Although there is an alternate black look that provides a sleeker aesthetic, it is still bulky and unattractive even with a nicer finish. It is a product that does what it says without wasting cost on looks. It is not to say that the Jansport is the ugliest backpack ever, but don’t think it’ll turn heads like the Built’s modern design. Even if it might not be the prettiest backpack, it more than makes up for it in comfort. On my busiest days, the backpack was loaded with books, papers, and my netbook, but I never felt like it was pulling me to the ground. My older Jansport always had to be readjusted to prevent pain on my back or shoulders. On the other hand, this pack was perfect with the initial adjustment and the traditional pain on my shoulders were gone. I am not saying that it will make pounds upon pounds of stuff suddenly light as air, but it will make your load less of a burden. This can be attributed to the material and the compartments that create a nice even weight distribution. But weight allocation would not mean anything if the pack had razor wire for straps. Thankfully, the straps are thick and padded, and although a bit bulky in look, they provide the necessary support and comfort for your shoulder. It might not be pretty, but it does not try to be. 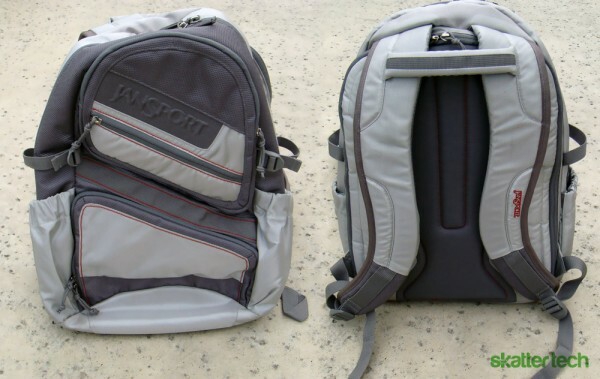 With a sticker price of $99 at Amazon, the Jansport Hookey knows that it is not marketing the product toward the average consumer who would normally pay $35-$50 for a generic backpack. At the same time, students are quickly spending more and more on laptops and accessories for their tech devices in addition to standard notebooks and pens. It seems evident with students willing to spend more on technology, the Hookey is marketed toward those who want to pay to keep their products safe. Jansport places the laptop’s protection and accessibility as its number one priority while still mindful that we still need notebooks and pens for day to day work. Moreover, if you ever need to travel and want a no-fuss way of passing through security, the Hookey is perfect for you. I would not recommend this for someone looking for the trendiest of looks or on a budget, but if you have a laptop and want to protect it from the other hazards in your backpack, the versatility more than makes up for the cost.